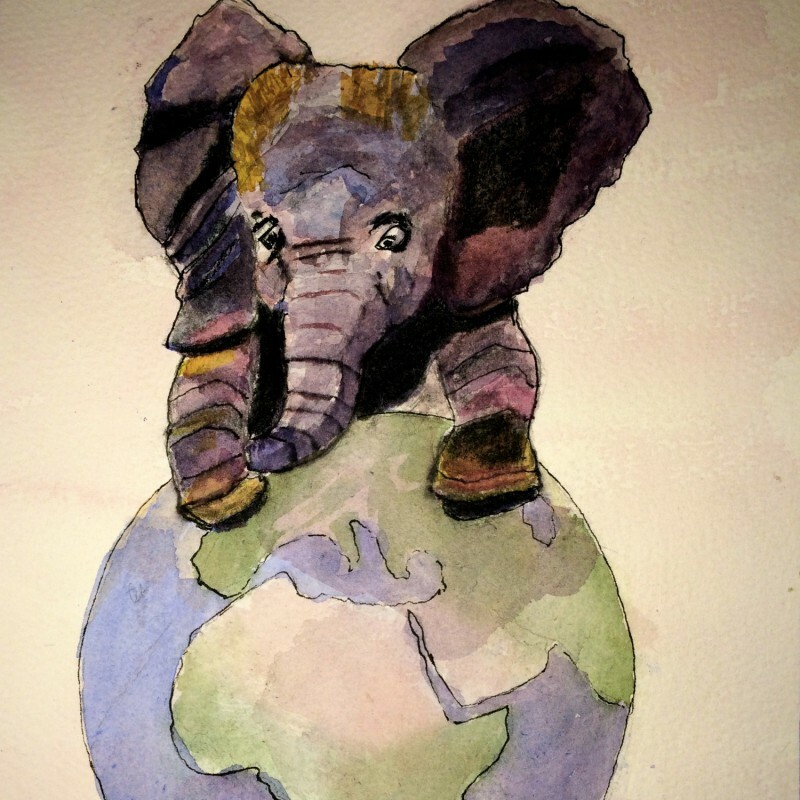 There are people who sketch every day, and others who would like to sketch every day but don’t for whatever reason. 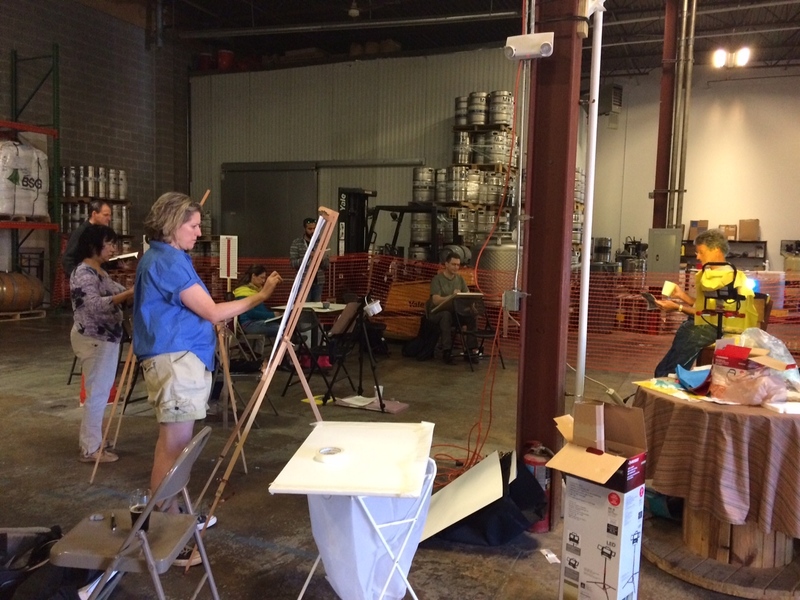 Sometimes these artists meet to sketch or paint together, and today one such group met in the back of a popular brewery with the prior permission of the manager. 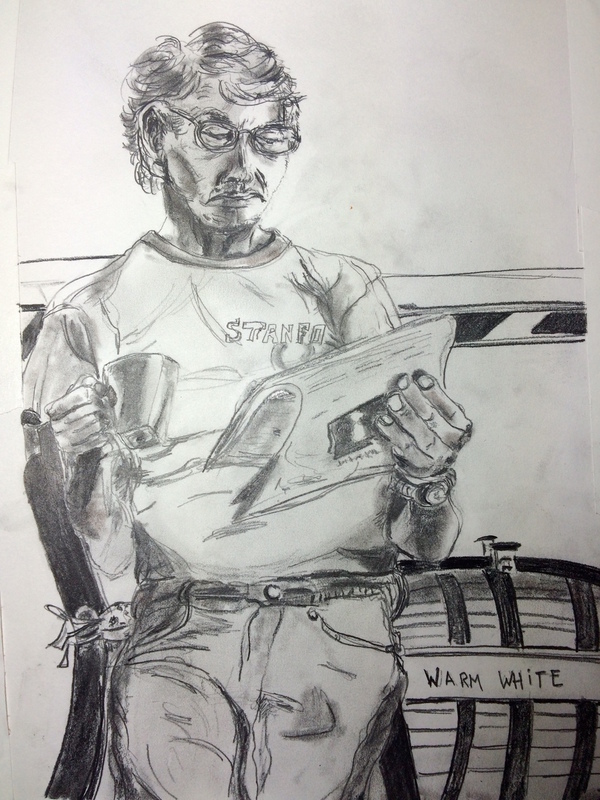 We sketched from a costumed model who posed holding a cup and reading a paper. 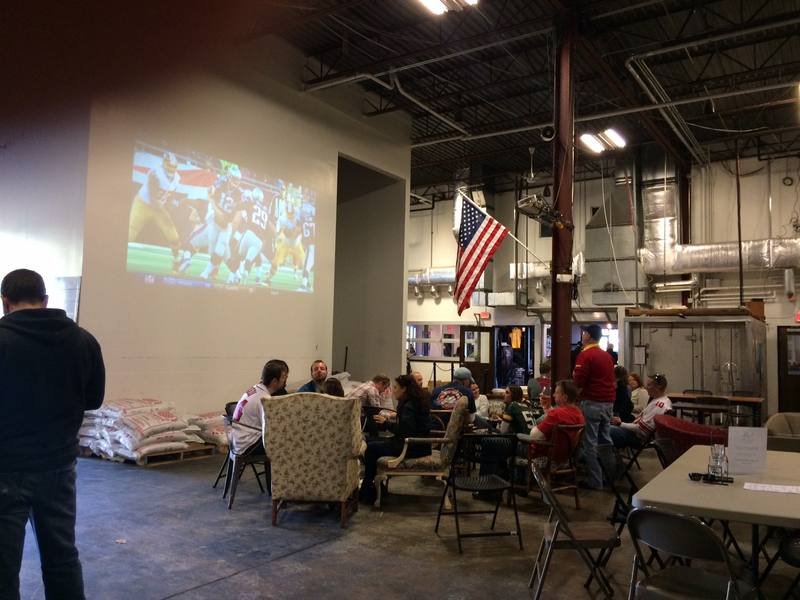 Nearby, other customers gathered around a screen watching a football game. It was a pleasant setting, and great occasion for meeting other artists in the area! And an opportunity to discover some new beers!